“Theater” in New York means Broadway and, luckily, the Royalton Hotel is located a mere 5-15 minute walk from the best theaters in the city. If Times Square’s endless parade of lights dazzled you, wait until you’re experiencing some of the most famous theater productions in the world. And when you’re there, please, don’t doze off. A production doesn’t make it to Broadway without good reason. Classic and award-winning shows abound and, although many tour the world or host regional productions, bragging about that-amazing-show-you-just-saw-on-Broadway has a ring to it. This is but a short list of the many musicals and plays out there – revivals of all-time classics like Cats, Fiddler on the Roof and Miss Saigon keep on coming back, while new ones like Anastasia, Aladdin and Beautiful: The Carole King Musical are already making a name for themselves. 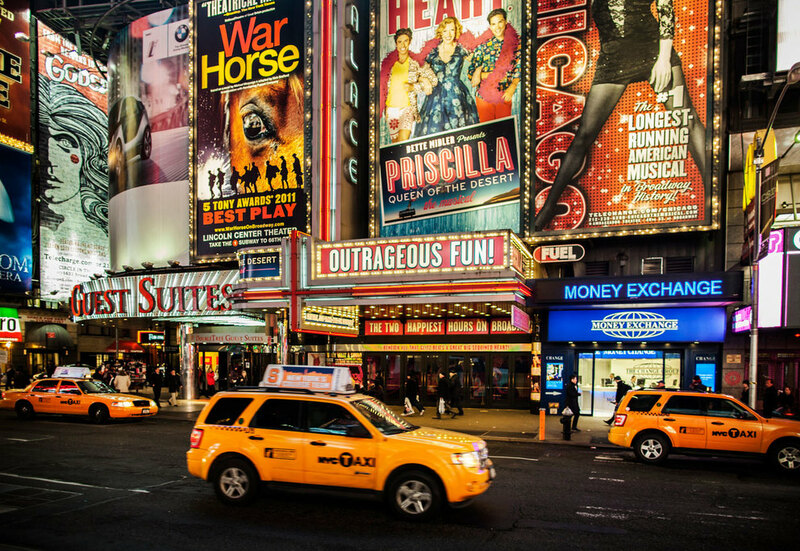 Since we’ve already established that dozing off isn’t allowed, you might want to grab a cup of coffee on the way to the show – the Theater District and Times Square share the same neighborhood, so there are plenty of eateries or coffee shops to grab a bite on your way to the theater. Or, better yet, make dinner reservations a couple of hours before the show in a nearby restaurant. If, however, you prefer to remain loyal to the Royalton – which we greatly encourage – the Forty Four Restaurant and 44 Bar will be waiting for you before or after the show. Our bar is a great meeting spot for friends heading out together to explore the New York. The Theater District spans from 54th St to 41st St, and 8th Avenue and 7th Avenue. Tickets: Purchase tickets directly from TKTS Booths, Playbill and Theatermania websites. Sign up for newsletters and follow the social media pages to hear about deals, discounts and new releases. The Royalton is located at 44th St, which means that you’ll only need to walk a couple of blocks to reach your show. Book your room with us and enjoy a hassle-free stay right in the middle of the action.